Discover the improbable methods and ministry of a radical and revolutionary Jesus. Jesus did everything wrong: Poor judgment picking a team of disciples. Ministering to the wrong people. Angering the wrong people. Having outrageous expectations of his followers. Questionable teaching methods. Allowing others to have unrealistic opinions about his mission. A humiliating end followed by an improbable surprise ending. And then, somehow, inspiring millions to attempt to change the world in his name. 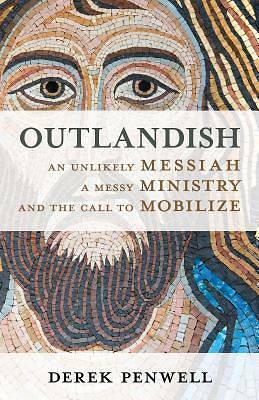 Outlandish: An Unlikely Messiah, a Messy Ministry, and the Call to Mobilize shows how Jesus's ministry flew in the face of conventional wisdom, a ministry that would be described as misguided, mistaken, and miserable - and succeeded beyond his wildest dreams. Then, fast-forwarding two thousand years, learn how that kind of ministry is sorely needed today and the political, social, and organizational lessons to be learned from Jesus's radically different ministry.